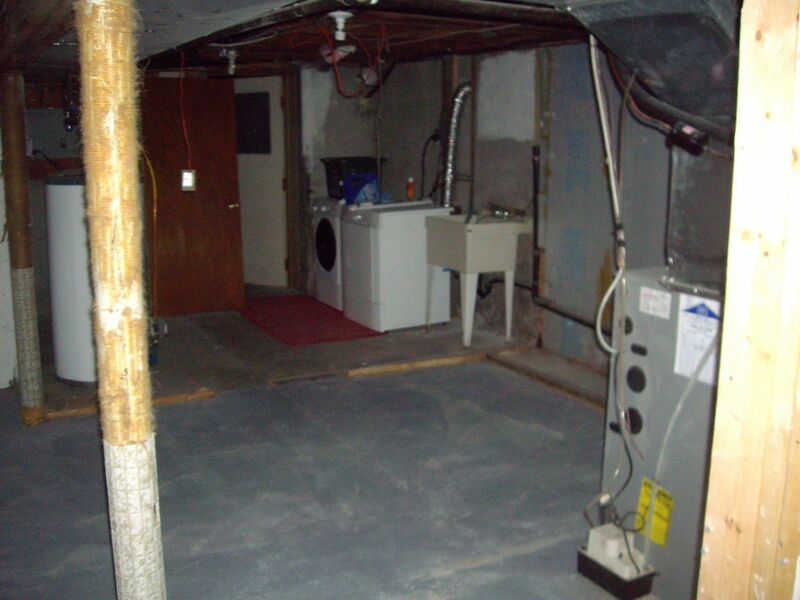 Too often, your basement becomes a storage facility. We all do it. And yet, your basement is the same size as the floor above. 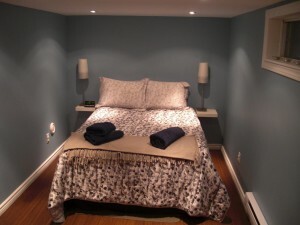 There are so many possibilities: Nanny suit, family room, man cave, self-contained apartment generating rent and more. Drew described my attention to detail as “neurotic”. 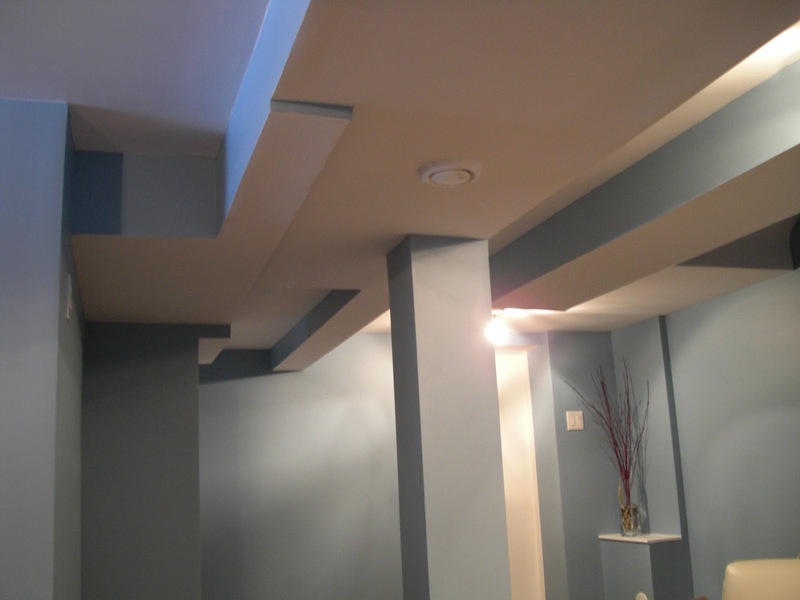 Drew and Lisa wanted their Westboro basement space to be additional living space for their beautiful home and growing family. 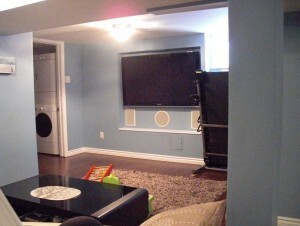 A drainage pipe that needed to be covered and still accessible led me to propose a recessed entertainment area for their new (large) TV and surround sound. and the walls are painted in Dulux Lifemaster ‘Siesta Sky’. The finished space included three new rooms: a lounge space, laundry room and extra bedroom, giving them both a retreat and extra space for family visits. The ceiling was very low (they won’t mind me mentioning they aren’t the tallest people, so this isn’t a problem), so we decided to make the ceiling a feature with multiple layers and levels. The end result looks great — and required over 400 feet of corner tape! more than 400 feet of corner tape! P.S. One of the most thoughtful homeowners I’ve ever worked for, Lisa would always leave fresh coffee in the mornings and once she even made chocolate chip banana muffins.